Studded bags seem to be everywhere at the moment! I've been lusting after so many of them and when I went to do this challenge- it turns out I don't own one! I do however have a pretty funky spiked necklace, so I whipped that up into a cute clutch! I think you all know by now how much I love eShakti. This skirt is one of those purchases that I know is a long term investment, its so easy to wear and goes with so much. It also has a really gorgeous vintage shape and is super light and Summery. I think the handbag ended up looking really cute! The mix of lace, chain and spiked rocked! Seriously though, these studded bags are everywhere! Here are a few I've been drooling over lately. L-R: Christian Louboutin spiked leather shoulder bag, Colette spike ring clutch, Forever 21 studded envelope body bag, Colette metal tipped bag, New Look blue stud hard clutch. How cute is this Dorothy Perkins Peter-Pan collar telephone top. They have some mega cute printed tops on their website- I caved and bought this one in one of their awesome sales! 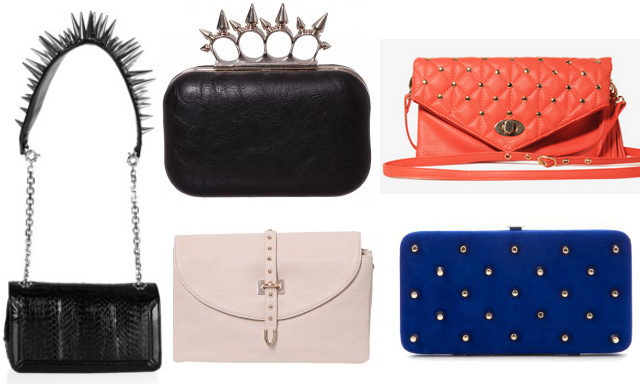 Check out all the Fatshion Faceoff babes with their studded bags too! Have you picked up a studded bag this season?? Great outfit! That top is adorable! Adore the print on your top Olivia! Your studded bag is so clever and cute! And then I liked your blouse before I really saw the print, but from that photo on, I was officially in love. My goodness, Olivia... you're cute! 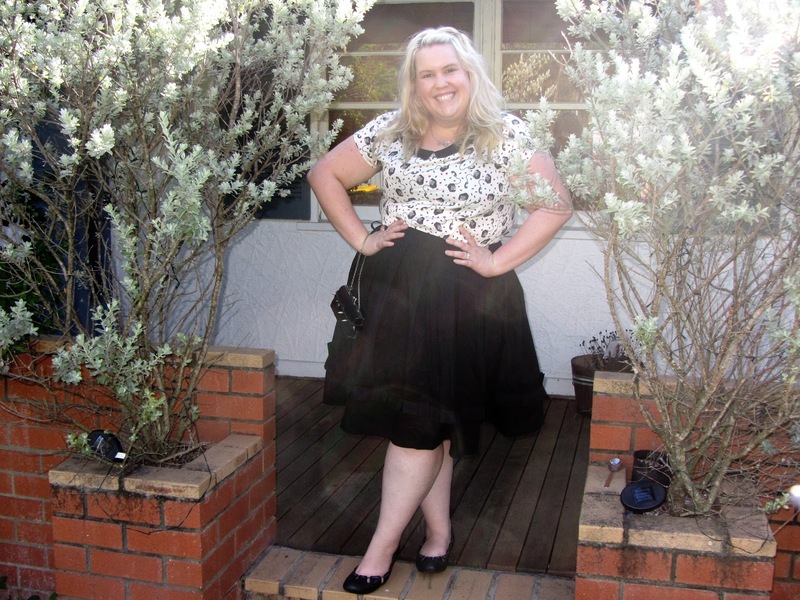 I know this post is about the studded handbag, but your outfit is very lovely. Love the skirt and the flats. This top is cute with the hearts and the telephone. Awesome stuff! You look adorable :), I love the tee. Oooh clever, the diy studded bag looks great. That top is adorable, the sales have been creeping up on me and I've had to pick up a thing or two. Beautiful skirt. Really looks like a great, classic piece. I love your top so much I genuinely want to steal it! This is such a great look, I love this skirt. I've been dying to pick up something from eshakti and have yet to do so. I love that little spiked bag as well, I'm a sucker for anything spiked/studded/etc. Ridiculously cute outfit! Love that top beyond words and it looks amazing with this skirt and the bag, of course. I love ANYTHING and EVERYTHING studded so this little bag is right up my street. You look incredibly cute and classy!